Ella went to a friends birthday party today and had so much fun. 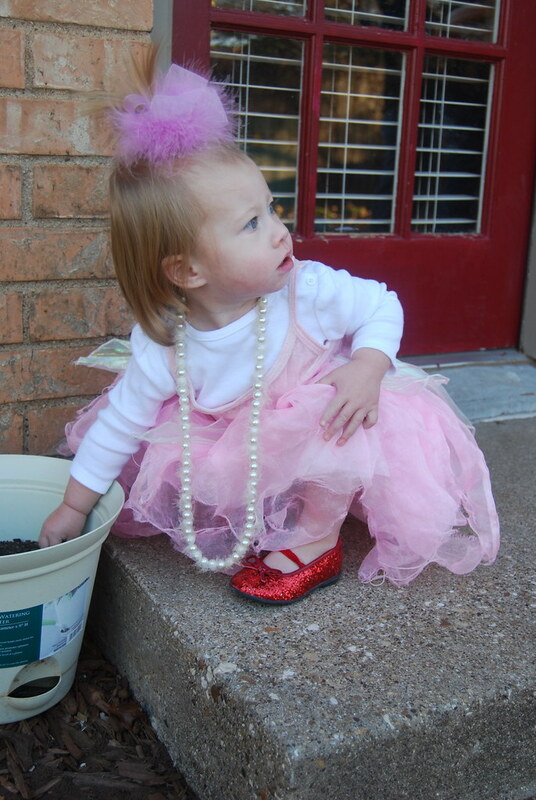 It was a superhero and princess party so Ella went dressed as a princess. She looked precious! 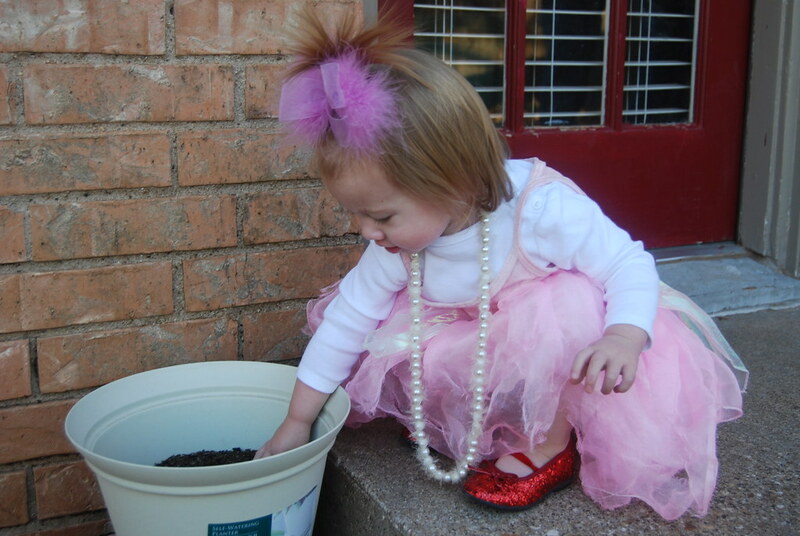 This pretty princess likes to keep it real, she went straight to a pot of dirt to play in. I love this picture. 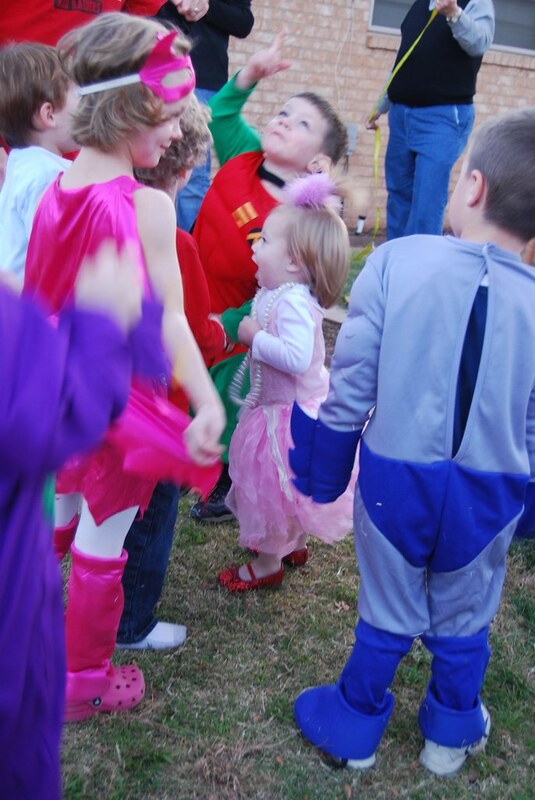 It's kind of blurry cause Ella was jumping with joy but I love her face and clinched fists. A pinata had just been hung and Ella was very excited about it. ...you forgot to mention how she was instigating the screaming in that picture too! adorable. I hope that princess got a really good nap after we left and before her party. I LOVE that last picture too!!! SO CUTE! cutest little fists, cutest little princess!